As the 405 bus comes over the Jerusalem hills, my phone chirps with another email. "I’m excited to go to Israel on Birthright next month," it reads, "but I don’t want to leave without also speaking to Palestinians." In my work with Extend, an organization that introduces young American Jews to Israelis, Palestinians, and Palestinian citizens of Israel, I encounter this hope every day. "I’ve been taught it’s part of Judaism to be conscious of all people," an applicant wrote to me last month, "but I’ve never had an opportunity to meet a Palestinian." On June 18, five Jewish educators affiliated with If Not Now were ejected from New York’s JFK airport after encouraging Birthright participants to ask about Israel’s treatment of Palestinians. "As a trip leader it’s my job to keep people safe," said a Birthright employee as he defended his decision to break up conversations between the If Not Now activists and Birthright participants. 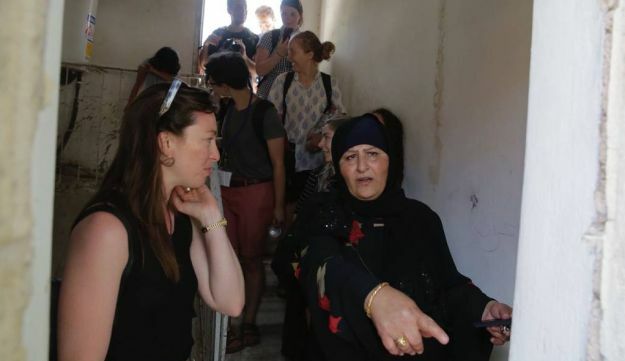 Sunday, another group of eight participants left their Birthright trip during a visit to Jerusalem's City of David, to conduct a solidarity visit with a Palestinian family slated for eviction from their home. While it’s common to hear that younger American Jews are less connected to Israel than any previous generation, data show the opposite: millennial American Jews are more connected to Israel than previous generations, but they are also more critical of Israel’s treatment of Palestinians. Dov Waxman calls this "critical engagement," and it should interest Birthright. It suggests that creating community between Israeli and American Jews is not served by preventing younger American Jews from asking critical questions about Israeli policy. The distinction between "critical engagement" and hatred for Israel is often lost on those with a more traditional view. As the five Birthright participants left the trip, their guide yelled after them, "You came to bash Israel. You didn’t come to learn about Israel, you came to learn about Palestine." "We came to learn," one young woman replied. For them, that meant meeting Palestinians as well as Israelis. The first time I asked about the conflict, my guide voiced the old cliche, "The Arabs never miss an opportunity to miss an opportunity." Later questions about the conflict, no matter their specifics, received the same answer. When several of our group asked whether we were driving through the West Bank, the trip leader told us, "It doesn’t matter." When I asked an IDF soldier if she had ever talked to a Palestinian, she asked why I was on "the Arab side." The most disturbing moment of the trip came at the top of Masada. Our trip leader began to describe fond memories of an Italian-American neighbor from Staten Island. "But if I had to choose," he said, suddenly earnest, "between her life and the life of a Jew I have never met, I would choose the Jew. If I had to choose between the lives of my 10 best non-Jewish friends and one Jew I’ve never met, I would choose the Jew." At this, even the more conservative participants seemed uncomfortable. But the guide upped the ante further. "If I had to choose between 10,000 non-Jews and one Jewish life, I would choose the Jewish life." Our trip leader’s eyes narrowed and he leaned closer to us, like an overzealous football coach delivering a pep talk. "Do you remember the tsunami in Asia a few years ago? It killed 100,000. If I had to choose between all those people or one Jewish life, I would choose the Jewish life." 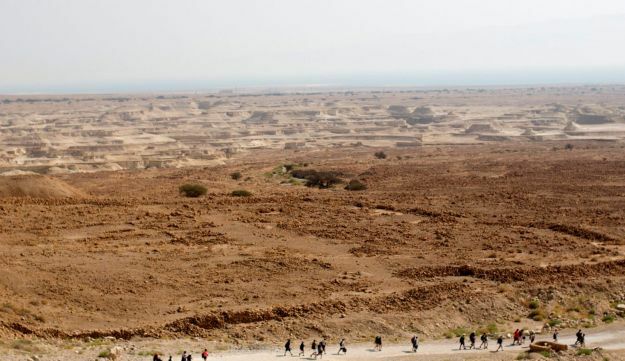 After the five Birthright participants left their trip, a Haaretz headline declared, "Between Adelson and BDS, Birthright has become a political battlefield." But Birthright does not have to choose between the hard-right agenda of the Trump-Netanyahu-Adelson alliance or the BDS camp. 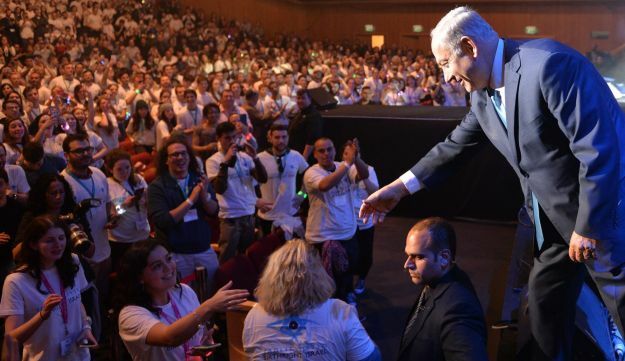 It can choose instead to meet young American Jews where they are: deeply connected to Israel, but also concerned for its Palestinian neighbors, who do not yet share the freedom Israelis enjoy. Sam Sussman is co-founder and director of Extend.